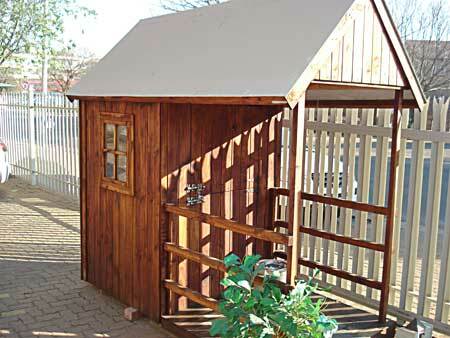 A 1.2 m x 1.2 m Guard Hut with a 1.2 m veranda. 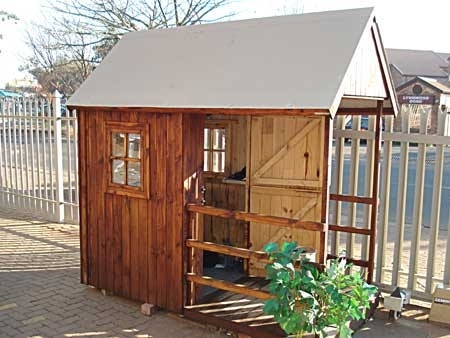 It is also available without a veranda. The same Guard Hut from a different angle.